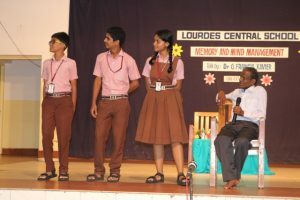 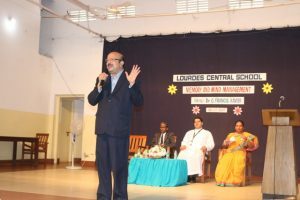 This statement was manifested and exemplified on 6th July 2017 at the Bejai Church Hall by Dr G. Francis Xavier for the students of Lourdes Central School. 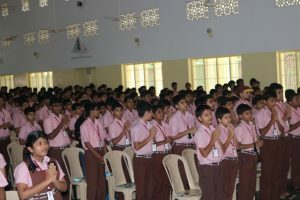 The seminar began with a prayer song that filled the hall with a divine ambience. 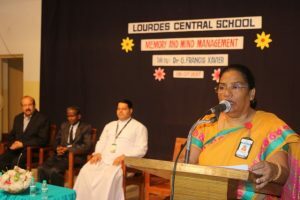 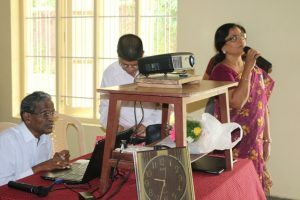 An eloquent and pleasant welcome address was rendered by the effervescent Vice-Principal Ms.Belita Mascarenhas, who also introduced the erudite Chief Guest Dr G Francis Xavier by quoting his words ‘Every second of your life is a masterpiece’. 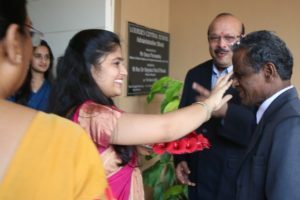 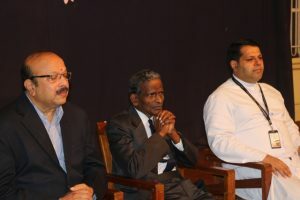 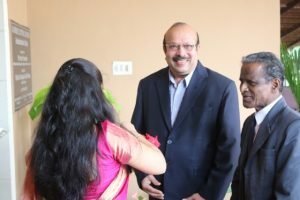 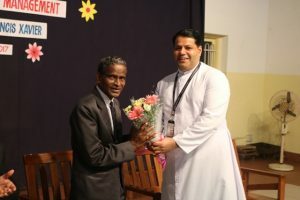 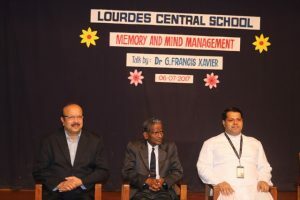 Among the dignitaries were Dr. G Francis Xavier the chief guest, Rev. 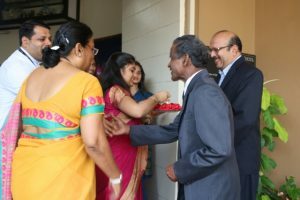 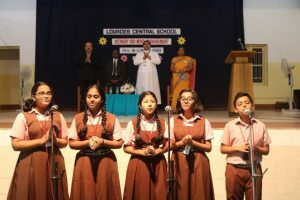 Fr Robert D’Souza, the Principal, Ms Belita Mascarenhas, the Vice Principal and Mr Raymond D’Souza. 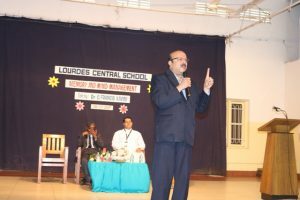 The session was initiated by Mr. Raymond D’Souza with lively activities. 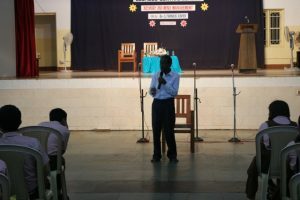 He emphasised on the importance of laughing , respecting oneself and being grateful to God. 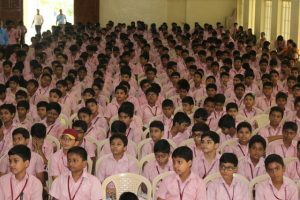 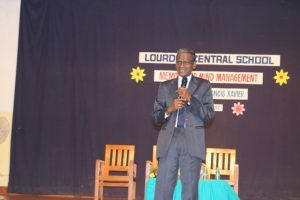 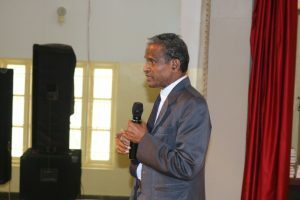 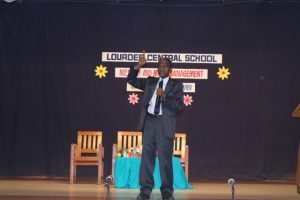 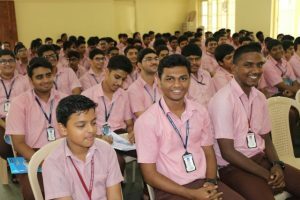 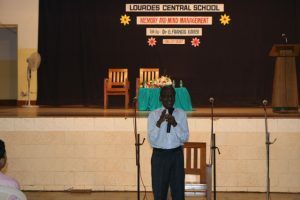 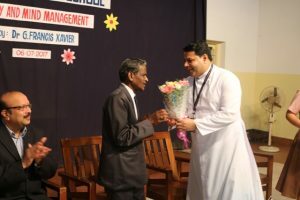 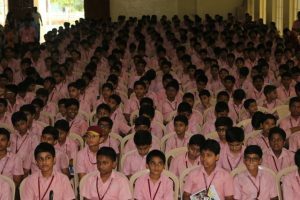 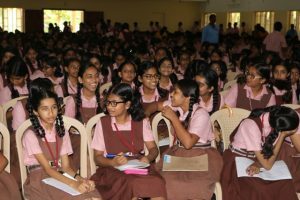 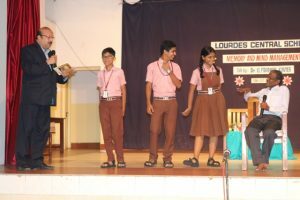 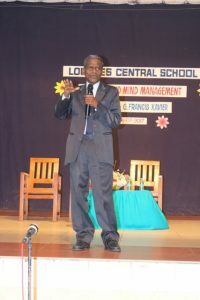 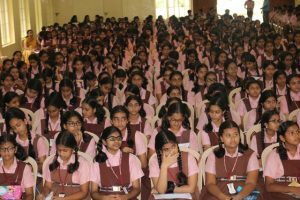 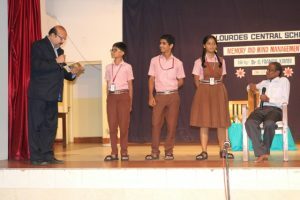 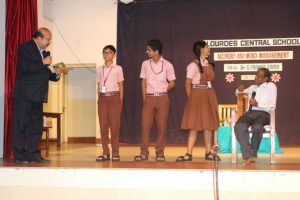 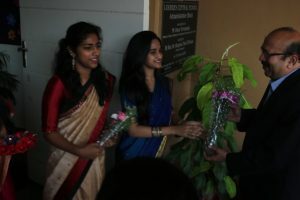 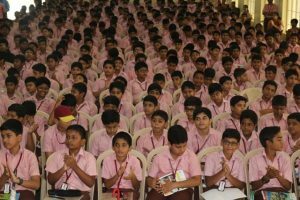 The resource person and the Chief Guest Dr. G Francis Xavier introduced himself to the students by narrating his life story in a nut shell and emphasised on the need to ‘Produce Results’, that would ultimately make an individual acceptable in the society. 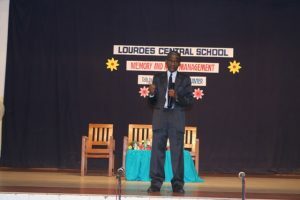 He further gave a demonstration of his memory skills through various activities. 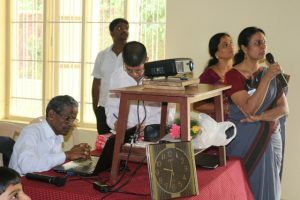 Dr Francis also involved the teachers and students in exhibiting the Patented ‘Memory Filing System’ which was completely intriguing. 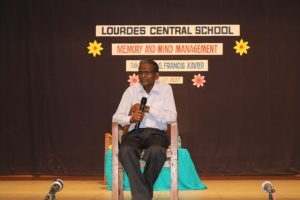 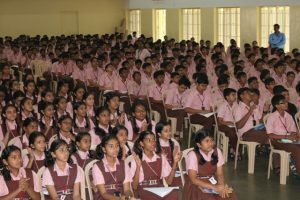 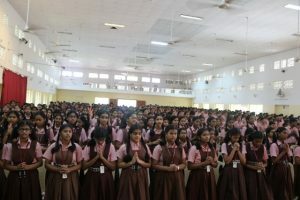 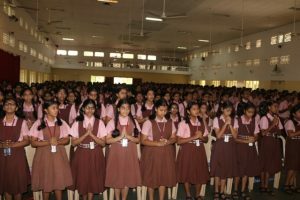 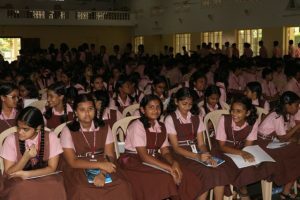 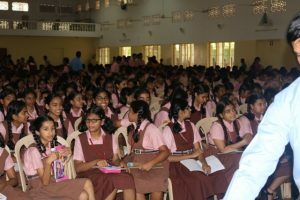 Through the techniques taught by Dr. G Francis Xavier, student volunteers were able to memorise a list in a jiffy. 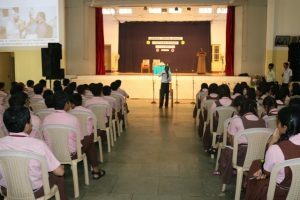 The entire session was indeed motivating. 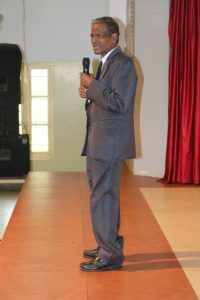 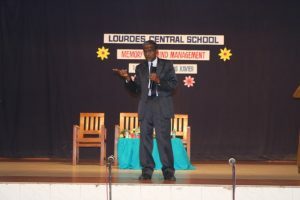 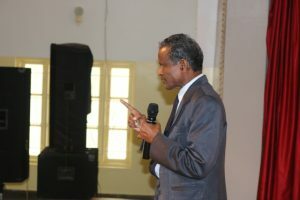 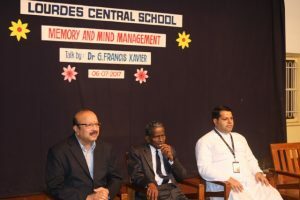 Finally Dr G Francis along with his associate Mr Raymond invited the students with their parent for a session with him. 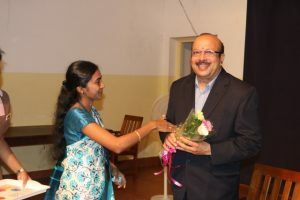 The programme concluded with a Vote of Thanks by Vanshika Shetty of Class XI. 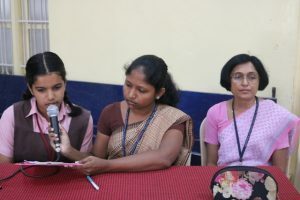 The event was compered by Ameena Zuha of Class IX.